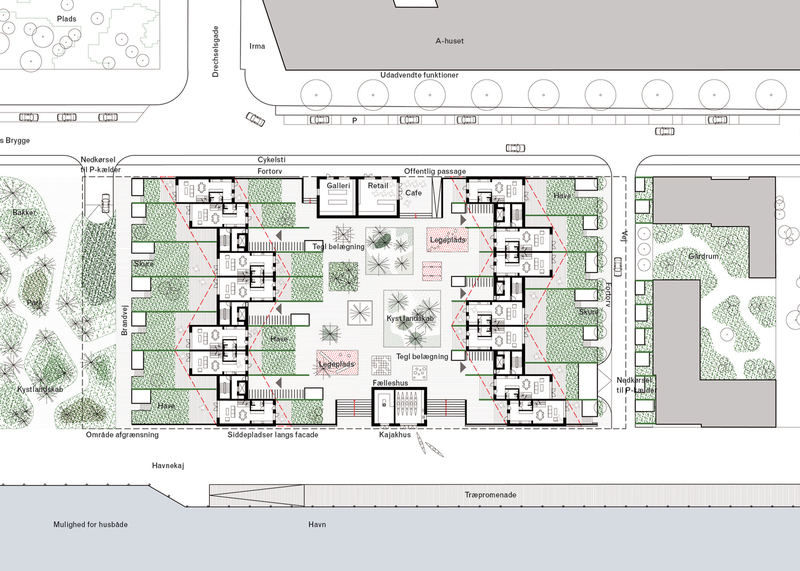 Located at the southern end of Islands Brygge, adjacent to the self-built, allotment community of Nokken, is the site for Building Lot A – in a unique location at the edge of the city, the water and the greenery of Amager Fælled. 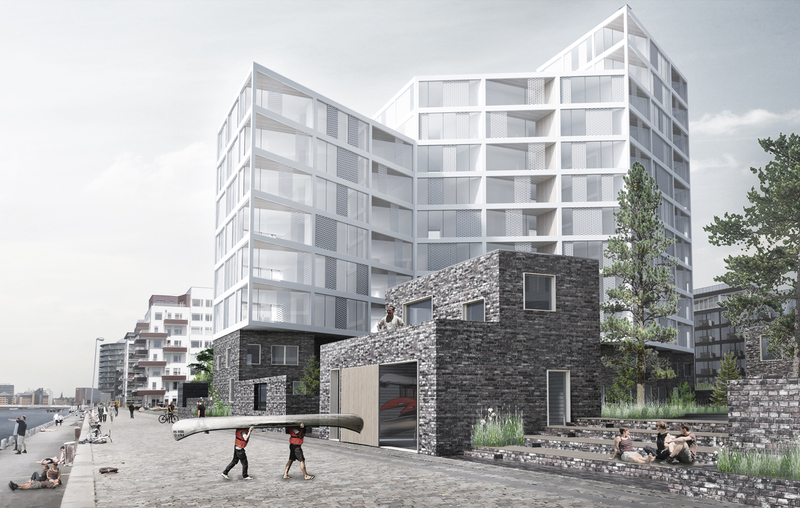 The project creates a connection between Bryggen and Nokken by combining the best qualities of both areas in its design. From Bryggen the project derives a strong cohesion and organisation of buildings, as well as an attractive and active public realm threshold. Nokken inspires in the project a high level of detail, a strong identity and an appreciation of human scale – fostering a ‘hygge’ atmosphere despite its high diversity in architectural form. The architecture is a sculptural expression of two zigzagging towers of housing, the distinctive form creating shelter and views out for the residents while responding to the roof heights of surrounding buildings. This approach results in a building where all the apartments benefit from plentiful daylight and beautiful views out over the harbor or Amager Fælled.